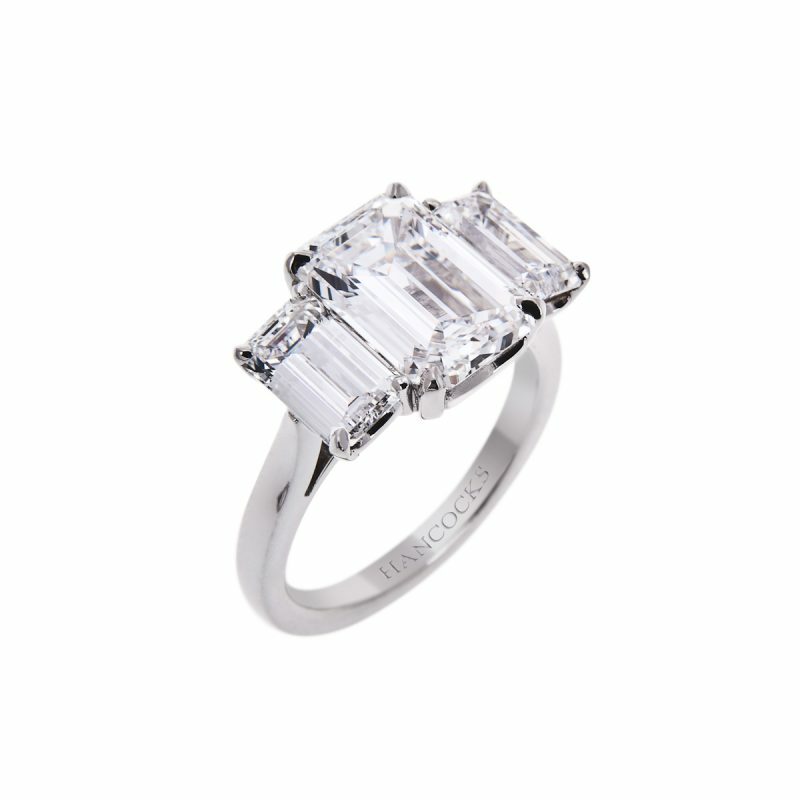 This 0.34ct emerald cut diamond has been mounted in wedd-fit platinum 4-claw setting to accentuate its unique shape. 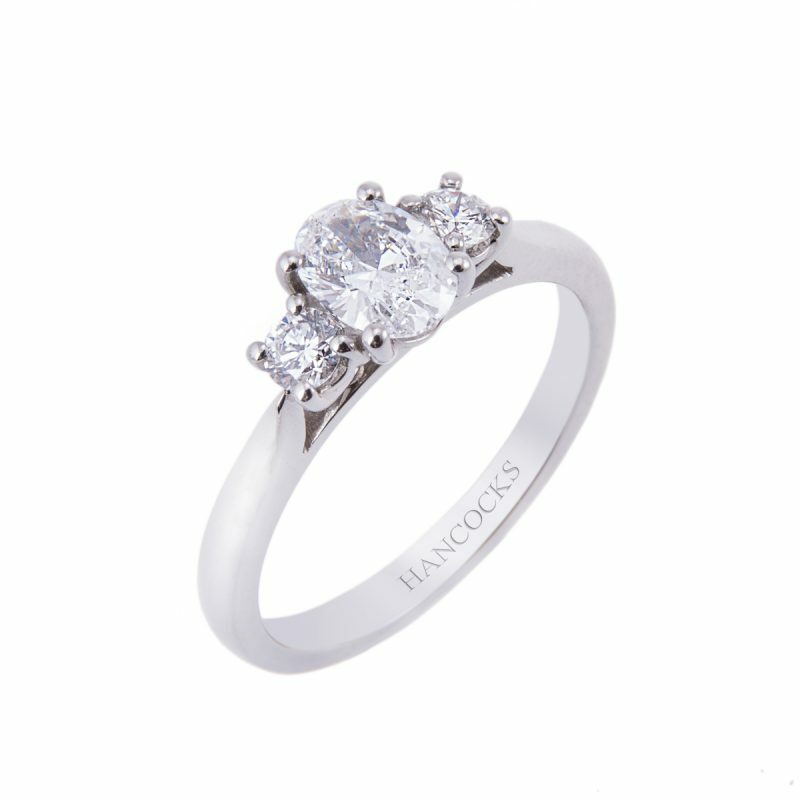 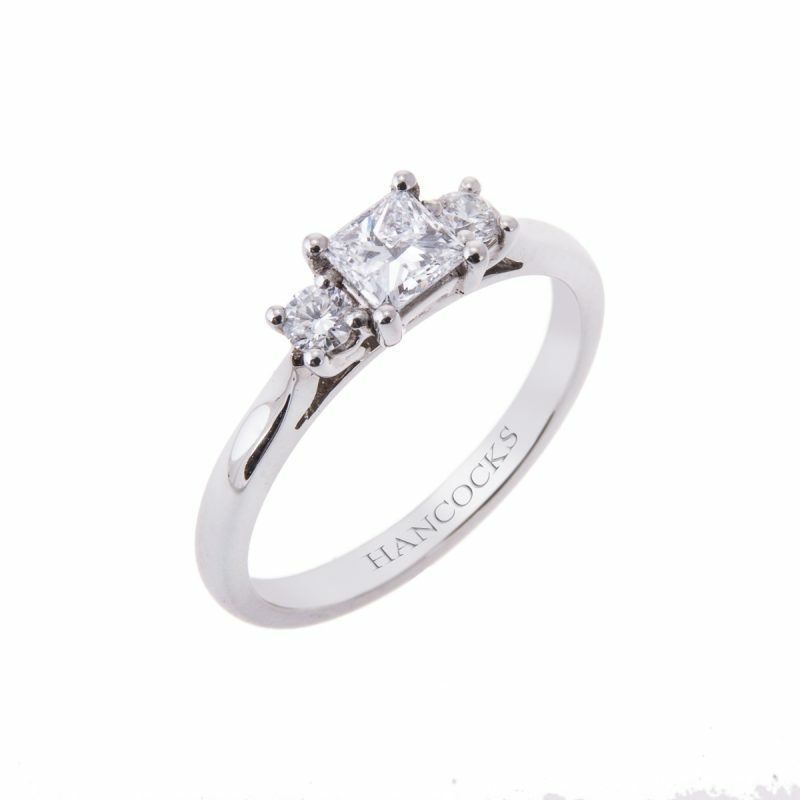 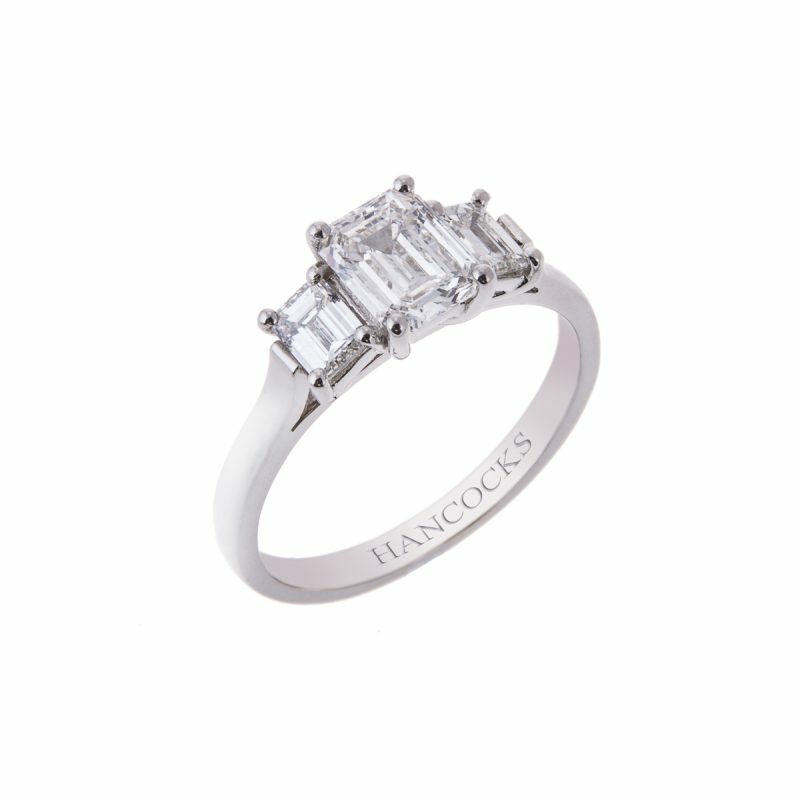 Accompanied by two matching emerald cut diamonds, totalling 0.46ct, set by Hancocks to retain all the sparkle and grandeur of such impressive stones. 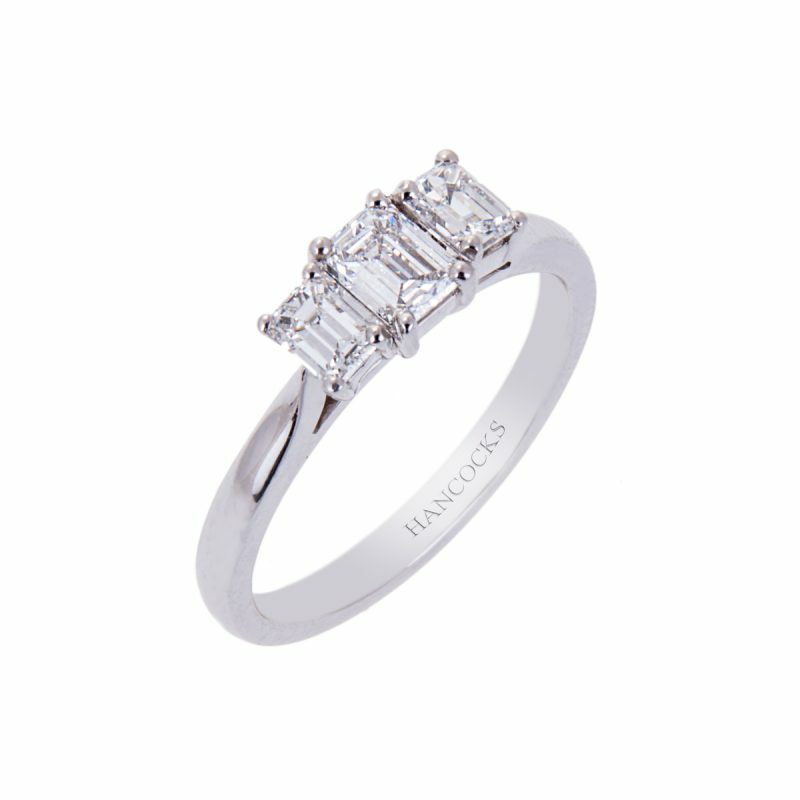 Emerald cuts are a stunning fusion of cuts, the result is an extremely elegant shape that’s perfect for an engagement ring.